Everyone was extremely nice and welcoming. Dr. Annelise was very personable and helpful. All in all, a really good experience. :) Definitely recommend! She is amazing! She truly listens to you and doesn’t rush your visit.... like most doctors do. Thanks, Dr. Dawson! Dr. Annelise Dawson is a Board-Certified Dermatologist who provides medical, surgical, and cosmetic care to patients of all ages. 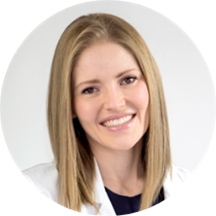 Dr. Dawson has a passion for medical dermatology and is thorough and detailed-oriented in her clinical approach. She also enjoys the artistic element of cosmetic dermatology and prides herself in providing subtle, natural results. She has extensive experience in neuromodulators (Botox), fillers, and laser surgery. Dr. Dawson is a thoughtful listener and cherishes the relationships she builds with her patients, helping them to maximize their skin health and beauty. Dr. Dawson graduated from Harvard University with a bachelor’s degree in Biological Sciences. She attended the University of Colorado School of Medicine, where she was inducted into the Alpha Omega Alpha honor society for academic excellence. She completed her Internship in Internal Medicine at Harvard’s Brigham and Women’s Hospital, followed by Residency in Dermatology at the top-ranked University of California San Francisco, where she served as Chief Resident. Dr. Dawson practiced dermatology in San Francisco for two years before returning to Colorado. She is a Fellow of the American Academy of Dermatology and is a member of the Society for Pediatric Dermatology and the American Society for Dermatologic Surgery. She has authored numerous publications in peer-reviewed journals and has presented at national meetings, with specific focus on acne vulgaris and skin cancer prevention. She speaks English and Spanish. Dr. Dawson grew up in Littleton, Colorado and now lives in Denver with her husband and son. She enjoys running, hiking, and exploring the natural beauty of Colorado. Very thorough, knowledgeable and friendly! Great experience! Great appointment! Everyone was very friendly and professional. Great environment and a very comfortable experience. She was very nice and professional. Highly recommend. All the staff was friendly. She is easy to talk to and you feel comfortable to talk about everything. She give all the information you need and consider your budget. I’ve been dealing with some embarrassing, chronic issues for almost a year to no avail. Dr Dawson addressed my challenges and created a 3 step plan. Her bedside manner and helpful nature put me at ease. Her staff was just ashelpful and kind. I’m looking forward to finding answers and healing under her guidance. I am so happy to have found Dr. Dawson and highly recommend her. Everyone in her office was so friendly and attentive and Dr. Dawson made me feel comfortable and took the time to talk with me about any concerns withoutthe appointment feeling rushed. I've already recommended her to several coworkers! Dr. Dawson was very approachable, and addressed all of my concerns in an easy, comfortable manner. She gave some great, alternate options to treatment I was receiving for a scar but didn't make me feel pressured. She has a lovely, personable nature; I will definitely be going back! Extremely thorough exam. All my concerns were addressed. Great practice. I would recommend it highly. Dr. Dawson is very professional and knowledgeable, but also relatable, which is important to me. I went in concerning some acne I've been experiencing and she gave me very reasonable options, both drug store, prescription and higher end productsthat I could choose from. We came up with a plan and she asked to follow up in about a month to see how it's going. She is also very well versed in what you can and can't use if you are pregnant or trying to become pregnant. Excellent. Dr. Dawson was very knowledgeable, informative, kind and did not try to force me into purchasing any products which some derms have done in the past. I really appreciated her thoroughness, attention to detail and overall demeanor.I would highly recommend her to anyone in my circle and I felt really cared for as a pregnant woman and comfortable and comforted by her recommendations and diagnoses. Loved her! Dr Dawson and her crew are awesome! She explained everything thoroughly, listened, and offered options. I’d highly recommend a visit. I couldn’t be happier with how my visit went. Dr. Dawson and her staff met and exceeded my expectations. She is professional, courteous, and informative. She addressed my concerns in an articulate and positive manner. Dr. Dawson and the entire staff were professional, courteous and prompt! I arrived 15 minutes early and was seen as soon as I completed my forms. Dr. Dawson was very thorough and patient while I asked questions and stated my concerns.I left feeling heard and very well taken care of. I highly recommend her. Dr. Dawson is an outstanding doctor and I highly recommend her. Wonderful experience. Dr Dawson is so nice and knowledgeable. I won’t go anywhere else now that I’ve been to her office. Dr.Dawson was very knowledgable and friendly. She explained things well and made me feel comfortable. The front office was a little behind, but I didn't wait long. Attentive. My first time there, 10/10. Professional, smart, and to the point. She is fantastic! Highly recommended! Dr. Dawson was pleasant, personal and professional. She was very thorough. I plan to be a regular patient. Superb competency and compassion, as always. Dr. Dawson was great in taking her time to answer my questions regarding the different issues I had. Vey professional and friendly! Felt i was in caring and capable hands! Super nice and helpful. Genuinely interested in helping me get my skin allergy taken care of. Dr. Dawson was thoughtful and thorough. Dr. Dawson was very thorough, kind, professional, and informative. Dr. Dawson was extremely kind and listened to all of my concerns. She explained to me what to look out for in the future and was very encouraging - I felt relieved and secure about my health after my visit with her! Dr. Dawson is great! She takes her time to understand patient issues and is very knowledgeable. I feel fortunate to have discovered her services. love dr dawson, she is smart, kind and attentive. Professional and approachable. Answered each of my questions. Love Dr. Dawson. Highly recommend! She's the sweetest. Excellent - was taken in right on time, very efficient and quick. She addressed 2 problems and conducted a minor procedure in less than 25 minutes! Highly recommend.